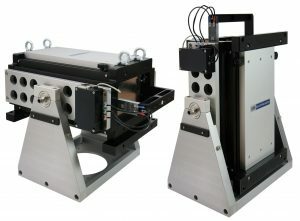 Vibration Control Systems (VCS): A family of vibration control systems for environmental simulation tests using vibration test systems. 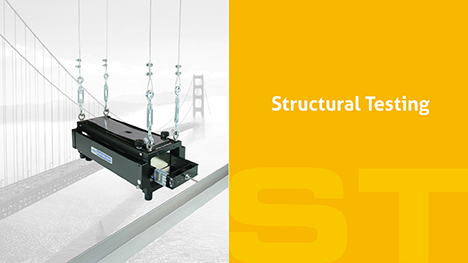 Modal Exciters: A wide variety of vibration and shock exciters, which can be used to apply defined dynamic forces to larger mechanical structures for modal analysis. 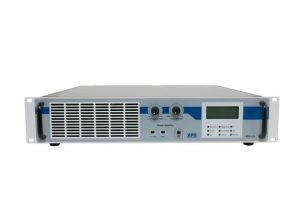 Power Amplifier: The amplifiers have features which make them uniquely suited for studying the dynamic characteristics of structures. 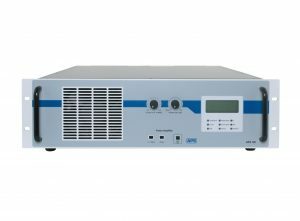 They may be operated in either voltage or current amplifier mode. 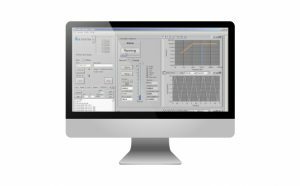 Software: LabVIEW-based software perfect match to National Instruments Hardware. 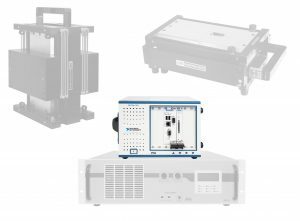 The Vibration Control System VCS 401 is a system based on a powerful and scalable hardware of National Instruments®. 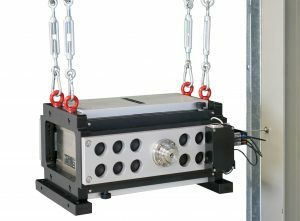 With up to eight control channels and a scalable number of measurement channels the compact hardware is suitable for industrial applications. 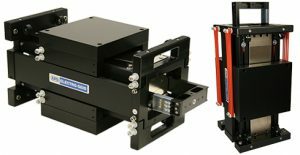 The strongest ELECTRO-SEIS® Long-Stroke vibration exciter to date is used for vibration tests of airplanes and other large structures. 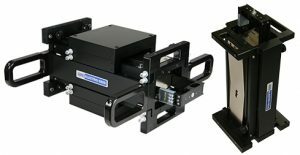 With a maximum force of 900 N and up to 150 mm stroke the shaker unlocks a new performance level. 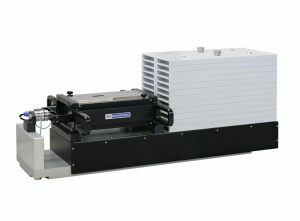 The APS 4001 – Horizontal Reaction Mass System provides a means of extending the rated force output for the APS 400 Shaker to frequencies as low as 0.5 Hz. 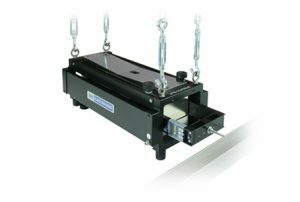 Trunnion Base allows the APS 420 ELECTRO-SEIS® Shaker to be set up in any axis from vertical to horizontal. 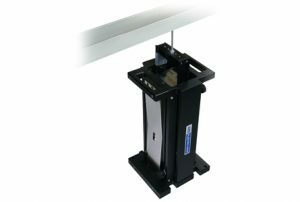 Auxiliary table accessory units for both horizontal and vertical use employ the high load capability of the APS 113 armature guidance and suspension systems to provide long stroke tables for excitation of test loads. 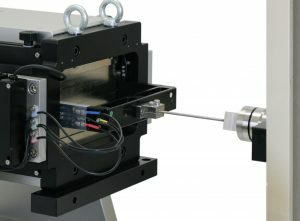 Each auxiliary table has a pattern of threads with helical inserts to mount the test load directly or a fixture on the table. 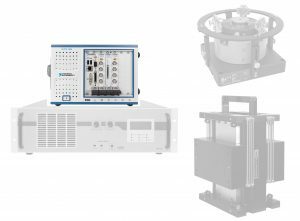 The mechanical input impedance at the base of a test load that is resonant in the operating frequency range can vary significantly. Thus, the acceleration response of the table and test item base will exhibit the familiar „peaks“ and „notches“ as frequency is varied. 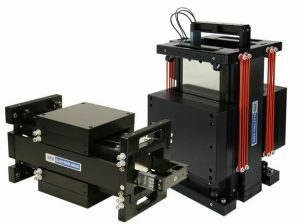 So it is recommended to observe the response of the structure using accelerometers. 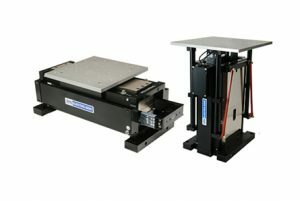 to achieve different physical measurements in parallel and updating the test system for further purposes as required. 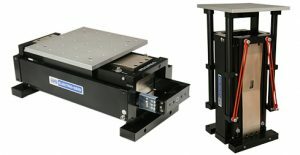 In addition you can use it for laboratory applications and scale it up to an automated test system.